SUPERTAC-365 Military grade black light is incredibly strong and ready to use. Comes with 2 x CR123A batteries and MAR-C0 invisible blue black light pen. Everything you need to mark and ID your property. Perfect for college kids and gym clothes. The 365 nm is used to determine if your driver's license or Identity Card is legal or not. Each state has a different marking. When you are in the market for a black light you want maximum effect from your UV light source. Most black light reactive materials use the long wave 365 NM wavelength. This UV light source has low apparent visible light noise. Giving the reactive surface a greater difference visually then using a higher wavelength. Now with that being said there are some materials that need 395 NM. But generally speaking the 365 NM wavelength ensures the fluorescent object, and not the surrounding surface, is illuminated perfectly. Risk Reactor Inc.’s 365 NM ultraviolet light produces a near pure black light output which is the best frequency for typical UV fluorescent applications. You are going to love the this UV flashlight's solid build and strong UV energy. We guarantee it! Real strong UV throw which is the distance you can see the fluorescent response of viewing material. Perfect for our clear red inks and coatings. Only the clear blues can be used with both the 365 nm and the higher 395. To see even more use with both UVSPORT-Y UV enhancing glasses and our UVSPORT-O orange color enhancing glasses. Each allows you to define and see more stains and fluorescent material then possible without the glasses. Amazing. These are mostly for inspection of bathrooms where layers of stains over time fluoresce at different wavelengths. That is where these really come in handy. Brand Name: Risk Reactor Inc.
Usage: Camping, inspection, scorpion hunting. Power Source: Rechargeable Battery or regular battery. There are countless compounds that glow under black light including minerals, plants, fungi and microbes. Other organic and inorganic substances fluoresce as well and when then do it is an amazing effect to say the least. Fluorescent materials can absorb UV radiation which is invisible to the human eye, and then emit it in the visible spectrum. The absorption of this UV energy causes electrons in the compound to jump to a higher energy levels and when they fall back, the emit a photon of light. These electrons cannot stay in the higher level because they are unstable making the return to a lower energy level a continuous operation as long as the black light is on it. Some substances used as pigments in paints or dyes that exhibit fluorescence attributes making things appear brighter under sunlight. Sunlight has black light in it and they absorb invisible UV light part of the visible light and re-emit it at visible light. This particular characteristic is the reason they are commonly used for safety signs, safety vests and other applications in which high visibility is important and or necessary. Animals see in UV which gives fisherman an edge as well as birds and bees. SUPERTAC-365 Requires 2 CR123A batteries or one 18650 battery. 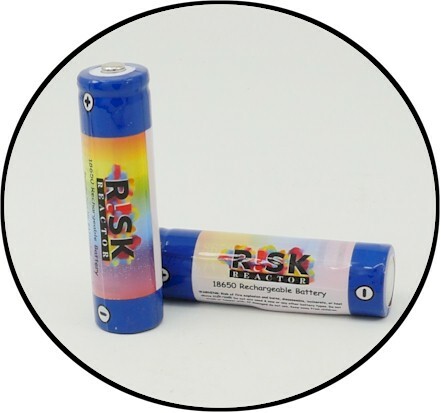 Do not forget to get your Black Light UV Batteries here! SUPERTAC-365 Rechargeable Black Light Batteries. Size 18650 2 x Rechargeable 185650 Batteries and 1 x Charger that fits two batteries at once. MAX-C0 Thicker Invisible Blue UV Pen Marker. BMINI-365 Powerful Mini 365 nm UV Flashlight Key Chain 1 AAA Included!